Cairo-Forces loyal to the Libyan Government of National Accord (GNA) have announced that the liberation of Sirte was delayed due to the fact that ISIS has been using civilians as human shields. Speaker Aguila Saleh said that foreign interference had complicated the political process. Saleh was speaking after meeting with President of Niger Mahamadou Issoufou during his visit to Niger. Solid Structure spokesperson Brigadier Mohammed Al-Ghosari said that there are families inside the 600 District and that their presence is delaying the advancement of the troops. He explained there are many women and children among the civilians in the district, without specifying the date for the liberation operation. Despite the optimism that the government forces might be able to liberate Sirte before Eid Al-Adha, Ghosari’s statement to Asharq Al-Awsat newspaper reflects otherwise. Media center of the Solid Structure announced in a statement that its forces were able to advance towards Civil Court and the Saving Bank. The center said they discovered seven bodies of ISIS militants near the bank. The statement added that the forces also uncovered ammunition depots full of mines and explosives. Al-Nabaa TV station, affiliated with the Muslim Brotherhood, said that five fighters were injured when a landmine exploded in Sirte. Media official at Misrata hospital stated that most of the wounded were treated and discharged, while the rest will receive treatment outside the country. The ministry appreciated the efforts of countries, including France, to help end the crisis and reach a political agreement. Meanwhile, Saleh confirmed that the parliament is committed to the Constitutional Declaration. He also denounced the rise to power of extremist organizations that turned against legitimacy after losing the parliamentary elections. Saleh visited Niger and Burkina Faso accompanied by PM Abdullah al-Thani and government and military officials. During his visit, Saleh discussed counter terrorism and border control in addition to means of enhancing bilateral relations. During his meeting with President of Burkina Faso Roch Marc Christian Kabore, Saleh said that the Libyan people reject foreign interference in Libya’s internal affairs. 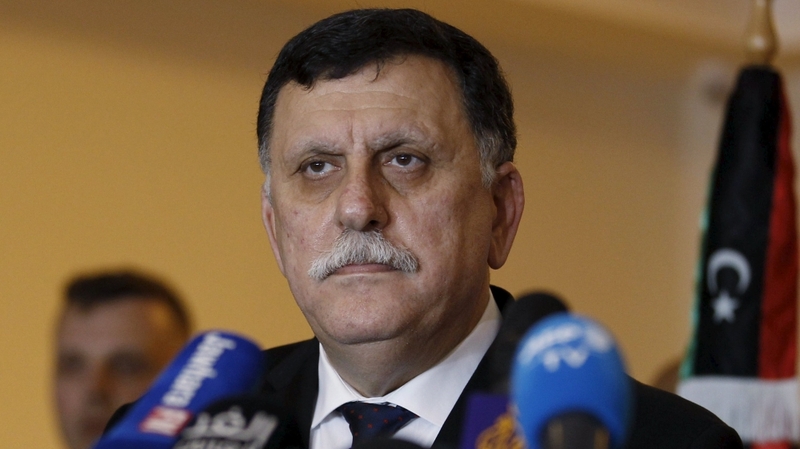 The visit comes after disagreements appeared at the inter-Libyan dialogue in Tunisia, after which U.N. Special Envoy Martin Kobler said that the main challenge lies in forming a government of national accord which is also approved by the parliament.